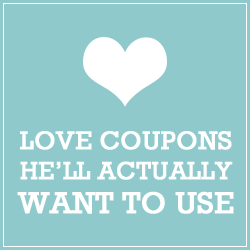 Romance Wire > Halloween Romance > 20 Ways to Be Romantic This Halloween + Bonus Reader Ideas! 20 Ways to Be Romantic This Halloween + Bonus Reader Ideas! Scary movies, dark haunted houses, trick or treating, playing truth or dare… these all lend a hand to help make Halloween quite possibly one of the most romantic nights of the year. To help you scare up a little more holiday romance, here are a few romantic ideas to try with your partner. And, as an extra bonus we’ve included five of our readers’ Halloween gift ideas! Rent a few scary movies and cuddle together while watching them. Host or go to a Halloween party. Read ghost stories from a book together. Visit local haunted sites together. Go to a local amusement or theme park that has a special Halloween event. Visit local haunted houses and fairs. Make a day of visiting a local pumpkin patch. Paint pumpkins, take a hay ride, etc. Go trick or treating with each other. Each person plan a special romantic treat for the other to claim on Halloween. Send an anonymous Halloween card. Go to a murder mystery dinner restaurant together. Write a love note with the reasons why life would be too scary without your love in it. Surprise your love on Halloween night by dressing up and acting out a sensual role-playing drama. Build a fire in your fireplace and roast marshmallows together. Tell your love how batty you are for them. Play truth or dare together. Prove your love is no trick and get married on Halloween night! Share a spooky candlelit bath together! Dance together to songs on your favorite Halloween playlist. Do a weekly Halloween theme challenge together. Some ideas include drawings, cooking something new, taking a picture a day, sending a Halloween love quote or eCard a day, coloring pictures together daily, watching a Halloween-themed movie/show daily, etc. BONUS: Complete a Halloween bucket list together! For Halloween this year, I wanted to do something sweet for my amazing boyfriend. So, I bought a wicker basket from the craft store, along with fake autumn colored leaves. I filled the basket with all of the leaves, wrapped orange and black ribbon around the handle, and tied it with a bow. On the edge of the basket, I put these fake (fall colored) fruits that were on a wire. I bought a dark red candle to go with my autumn/Halloween type theme. I bought orange and black Kisses (caramel!) and sprinkled the entire bag over the leaves. I bought a tiny little black cup that had pumpkins painted on it and filled that with candy corns. I also bought a miniature pumpkin and wrote in black marker, “I Love You!” on it. Finally, I took a picture of me that he had taken recently and framed it. This picture fit perfectly because it had a bit of an orange tint to it. I put all of these things into the basket, along with a Halloween card. He was blown away! He thought I had bought it because it looked so nice. This is a good idea because it can work for any time of year…just change the theme. Plus, you can fill the basket with a variety of different things. Good luck! Last Halloween my (at the time) boyfriend did the sweetest thing! We were both in college and he took me out for a nice, but affordable, dinner. Then we walked around several stores looking at the Halloween stuff. I told him how much I love Halloween and he agreed that he did too. The next morning when I stepped out into the hall of my dorm, I saw a plastic pumpkin (like the ones kids take trick-or-treating.) He had filled it with candy and trinkets and had a little beanie baby witch sitting on top. The card with it was a romantic Halloween card. This just melted me, and I was the envy of all the girls in the dorm for having such a creative boyfriend. My guy is in the Navy. He loves Halloween. Yes he’s a grown man, but loves it. So when it came Halloween time and he was going to be shipped out, I knew what I had to do. I put together a box full of Halloween candy (nothing that would melt) and made the box have a Halloween theme (orange and black packing paper). I also included a Halloween love letter that I wrote. He loved it. He shared the candy with the guys in the unit and they had a mini Halloween on ship. His unit loves me now! They always ask him where his care packages are from me! As a fun Halloween token of my affection for my boyfriend, I went to a Hallmark store and purchased the most adorable jack-o-lantern shaped drawstring bag (complete with arms and legs). I filled it full of assorted Halloween candy to the top. Amongst the various sweets, I placed a pair of jiggling plastic eyeballs with a note saying “I’ve got my eyes on you!” I then attached a cute and inexpensive Halloween card that I had chosen from the “kiddie” selection and decorated with various sparkly Halloween stickers, to the bag’s drawstring by punching a hole in its top corner. To complete Jack’s goofy expression, I simply hot glued some small jiggly eyes (found at any craft store) onto Jack’s eyes. To complete the entire package, I placed a Beanie Baby Batty inside the bag with its head curiously poking out the top. My boyfriend loved it!! He now uses the jack-o-lantern bag to hold my love letters and cards that I have sent him. He thought it was the SWEETEST idea! You could also use this idea for a Christmas themed token, or any other holiday using anything associated with that particular day. Just use your imagination, and keep it fun!